An example of Terada’s “rakugaki” doodling style, taken from his sketch Tumblr. Katsuya Terada is a Japanese illustrator and character designer, perhaps best known as the character designer behind Blood: The Last Vampire and also an illustrator for Nintendo Power‘s early issues. He spoke to me at San Diego Comic Con 2013, as he was nominated for the Eisner Award for Best Painter and Multimedia Artist that year and also had a 10 year retrospective of his work . 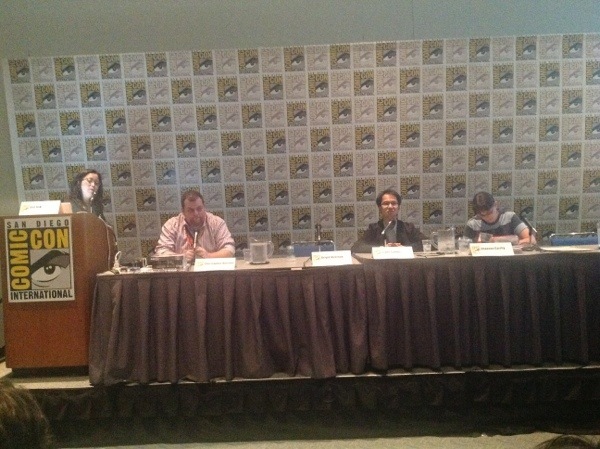 The interview was done courtesy of Dark Horse Comics, and was conducted at their booth at SDCC. How does it feel to be nominated for the “Best Painter and Multimedia Artist” Eisner award this year? What inspired you to do a darker version of the Monkey King/Journey to the West (Saiyuki) story, and what do bring to it that’s special or different? Everyone grew up with the tale of Saiyuki; even Osamu Tezuka did his version. When Son Goku is put in a cave…someone who’s been crammed up for years in a mountain is naturally going to tend you towards violence—a natural reaction to that situation. I don’t think that’s really been depicted before. You have a philosophy of illustration called rakugaki (short illustrations or doodlings wherever you go). How have you developed that philosophy over the years? Recently a 10 year retrospective of your work was released. How have your thoughts about art changed over the past decade? I haven’t changed that much…maybe I couldn’t draw as much 10 years ago, perhaps, not because I was a worse artist, but there were things I couldn’t depict then that I can now. I do feel more satisfied with my art now, personally. I want to be able to look at things 10 years from now, 20 years from now, and be able to say to myself, “I’m impressed.” A lot of what I do, especially the rakugaki work, is for my personal entertainment, but I want to be able to draw things that I can show to other as well. You are perhaps best known in the US as the character designer behind Blood: The Last Vampire. Have you been approached by other anime studios to do other designs, and is that something you’d like to pursue further if given the chance? I did character designs before and after Blood: The Last Vampire, for games and anime. I don’t think I would gravitate toward doing just character design…ultimately character design is just drawing pictures, and that’s always just part of my work. There’s some work that perhaps you may not have heard about, like for Korean games that you might not be able to access in the US…but it’s just a part of drawing pictures for me. A Legend of Zelda illustration from Nintendo Power by Terada. You’re also well known for doing illustrations for the older Nintendo Power issues, and they were very impressionistic. What do you see the role of a game illustrator being in a time when video game graphics have become so sophisticated? It’s still very necessary. Back in the day, due to the limited graphics, you were kind of projecting the characters from the art onto the game…now, the process is just more direct, but it’s the exact same thing in many ways. It’s like in the movies where the graphics are so good that you can’t tell the difference anymore. It’s like the importance of having a movie poster. What would you give as advice for aspiring artists and illustrators? When you are young, you have all this ambition, you can’t think you can fail. But when you get older, sometimes all you can see is where you’re lacking, which is kind of unsatisfying. So when you’re young, find out what’s out there, find out what needs to be done, and pursue that. 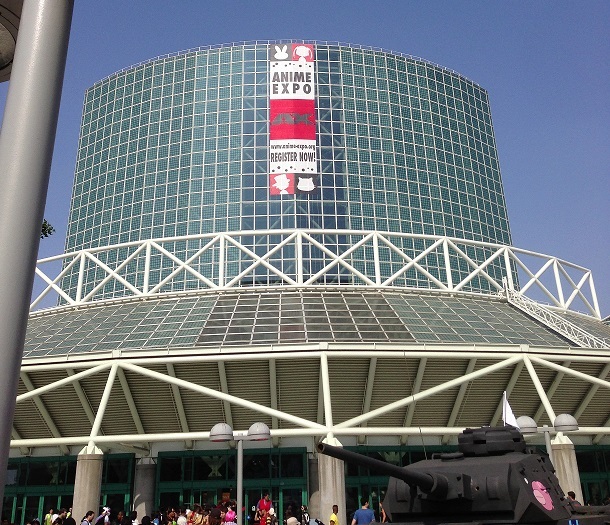 Here is a tweet record of day 0 of Comic Con 2013. It was preview night, and I was there on errands.